for aspiring / amateur photographers! Show us Venice Italy through your eyes: you could win monthly prizes, a fabulous vacation, and your own solo show in an art gallery. 4th edition! This very special competition is open to all aspiring and amateur photographers. Listed as one of the top 10 things to do in Venice. Needless to say, the theme of Venice photos contest is… the most beautiful city in the world! Shots of your favorite places, or hidden spots, details, views, Carnival, gondolas, lights, colors, or anything else that grabbed your attention and you would have wished to take home with you? what you’ll never forget about this journey? Make the most out of your travel pictures! The 3rd edition has ended! The 4th (year 2019) is open, and the next monthly deadline is the last day of the current month. We have not announced the 3rd edition’s winners yet: sorry for the delay, due to very important priorities. Back soon with the updates. Every day you can submit your best photos of Venice. 2 days in Venice Italy for 2, and your solo show in an art gallery, also in Venezia! The Jury‘s decision on all matters relating to the competition is final. Discover Our Partners – Offering You An Unforgettable Staying! Hotel Papadopoli Venice by Sofitel MGallery, Hotel Metropole, Hilton Molino Stucky Venice, Cipriani Harry’s Bar Venezia, Gran Caffè Quadri Alajmo, Ristorante da Ivo, and more, are partners of One Day in Venezia. The Grand Winner will be given the best of the local luxury hospitality in 2 fabulous days of vacation in Venice. 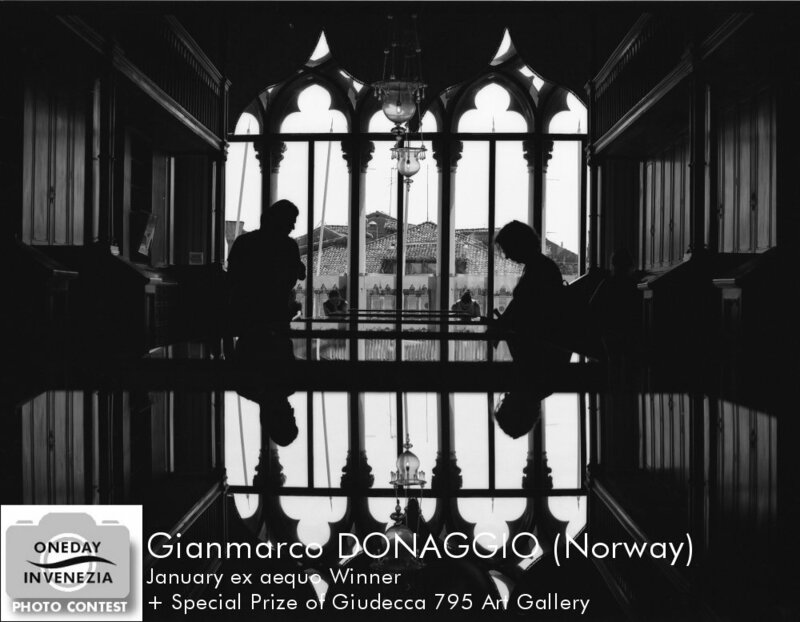 The lucky (and clever) winner photographer may decide to give the 2 nights staying, dinners and gondola tour as a present to someone else; the right to the solo show is personal. How to apply to the One Day in Venezia photo contest ? Only via this website. Press the button, register, and submit your photos (you will be prompted to upload them one by one). You are a few clicks away! Who will be the next monthly winners? and the final Grand Winner? 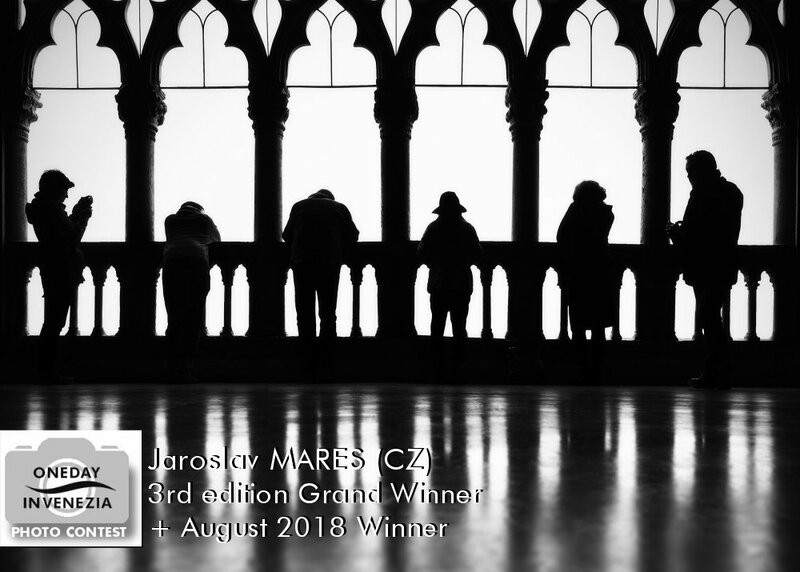 See the photos awarded monthly to date on The Winners page. The 2nd edition’s Grand Winner has been Tatiana Lazareva, from Russia: see her receiving her prize in Venice. And let us remind you of the 1st edition’s Grand Winner, Annik Susemihl (Germany). 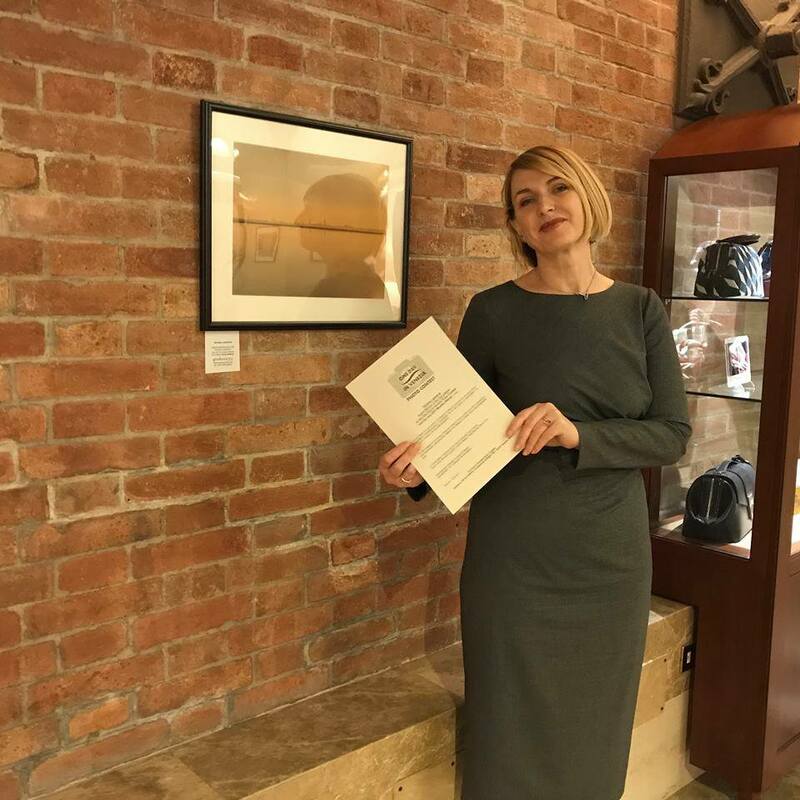 Receiving the One Day In Venezia Photo Contest award has encouraged her to enthusiastically pursuing her dream of becoming a semi-professional photographer. A fan of the Venice Carnival! 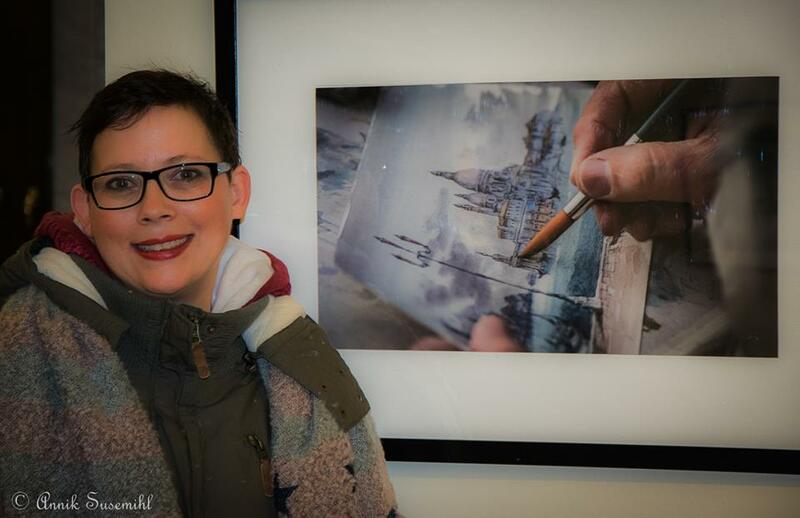 Had her very own solo show with us, and has been then invited to take part to photo shows, and requested to publish a Venice photo calendar of her own by a German publisher. Well done, Annik! 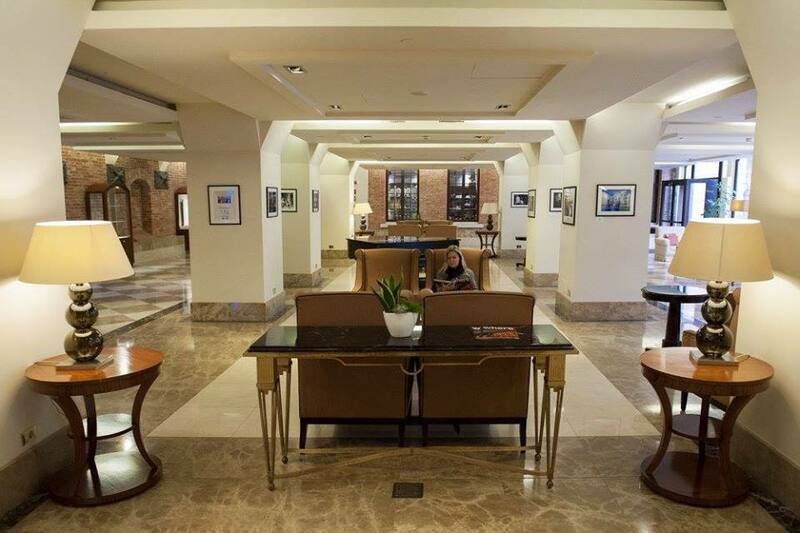 The preview of the 1st group show held at the Hilton Molino Stucky Venice. How exciting! Any photographer can submit Venice photos monthly, at a cost of 10 euros for the first entry and 5 euros per each extra entry. We accept Paypal. You can upload photos after registering here. NEW: we also accept Skrill, contact us for details. Winners to be announced on day 1 (or little later! sorry) of every month. Entries can be resubmitted in subsequent months, with the same photo or new ones, with a discounted fee. 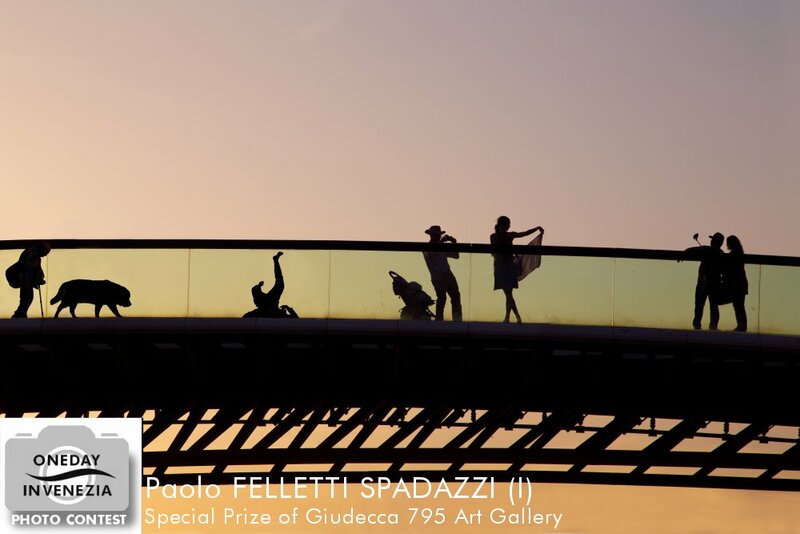 EVERY submitted photo will get exposure at Giudecca 795. Yes, just by submitting to the One Day In Venezia contest, your work will be displayed in the art gallery on an electronic display which will feature all of each month’s submissions. 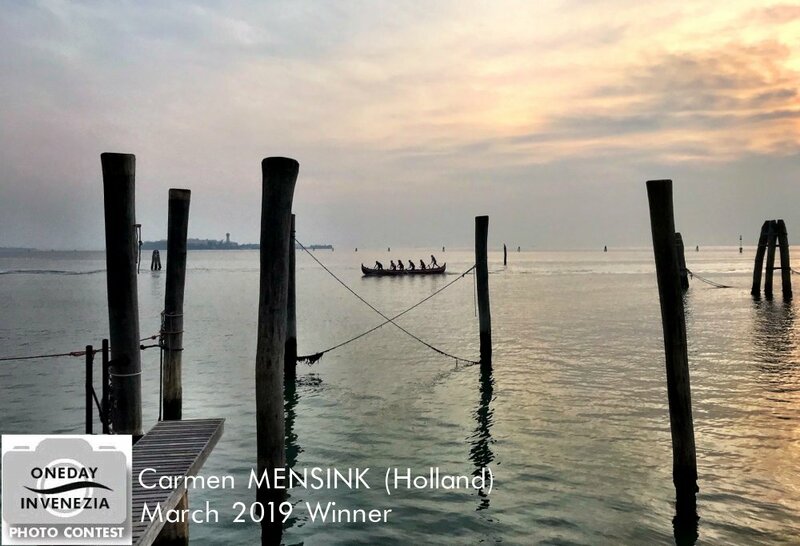 The 12 winning Venice photos will also be published in a calendar or a publication, (depending on the budget) with great international exposure. Dates of the stayings and shows to be agreed upon availability. The entry fee is only 10 euros for registration and 1 submitted photo; only 5 euros for each extra submitted pic. The fees contribute to the costs of organization and exhibition, and helps us develop the contest. No pictures of Venezia to submit? Do you like the project? Would you like to support us? Help us do more!